YIN-YOGA has increased so much in popularity nowadays, finding naturally its place in the yoga world where Yang form of practice are prominent. 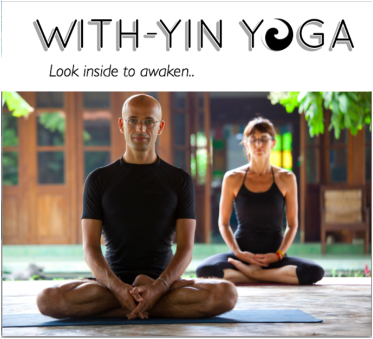 During the past few years Sebastian & Murielle have traveled extensively in Asia and Europe, teaching YIN-YOGA workshop's improving their teaching skill to unveil their Yin-Yoga Teacher Training Program which will empower you to share, demonstrate and instruct the Healing and Meditative practice of Yin-Yoga. Unravel your potential and refine your inspiration on the Yoga path. This Training is designed for teachers and dedicated practitioners with at least 2 years of yoga experience. Prior experience in Yin Yoga is not required but you need a keen interest in the following subject of Anatomy, Qi Theory, Philosophy and Meditation. You do not have to wish to become a Yoga teacher to follow this training but a spirit to learn and dedication to deepen your practice are required. Yin Yoga practice has a transformative effects on body and mind. The gentle but consistent stimulation of the connective tissue encourages long-term health and flexibility of the joints, recharges the energetic system of the body and naturally draws the mind inward into a relaxed, meditative state. It also prepares the body and mind for longer meditation practices. For more than 25 years, Sebastian has practiced Martial Arts, Shiatsu,Yoga and Meditation, refining and stabilizing his research to the study of Yin-Yoga as a foundation, to sustain and promote a holistic life-style while cultivating and developing a tranquil mind. Combining western anatomy and meridians theory approach, the practice of Yin Yoga come to be a potent healing, and psycho- spiritual system. Our Yin Yoga Teacher Training is overlapping Yogic,Taoist and Buddhist concept to contemplate and interpret the essential message of those different traditions. From the gross to the subtle we believe in cultivating an awareness of all the different aspect of the individual, combining body/mind perception as a practice to positively affect, modify, and transform one's health and consciousness. SEBASTIAN and MURIELLE are yoga teachers who live in Indonesia, teaching workshops and leading teacher trainings both in Asia and Europe. Find out more about them and the workshops and courses they lead. SUBSCRIBE and receive a FREE yoga video with a mellow, rejuvenating, yin-inspired practice.